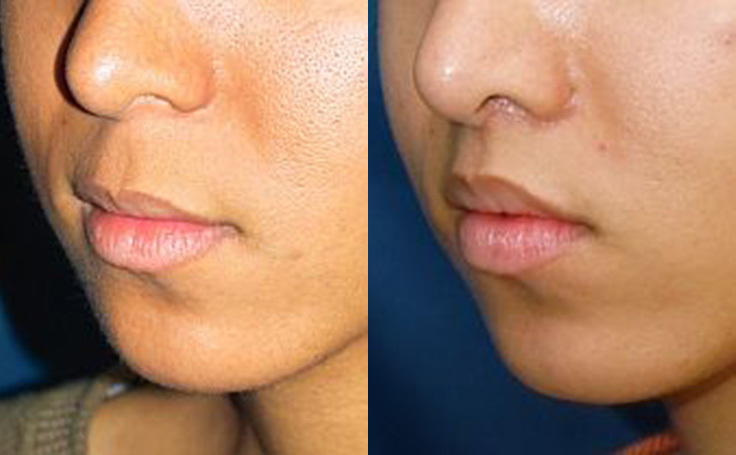 This African-American woman in her 20's underwent a lip lift to raise the upper Lip Lip so that her lips would be fuller. 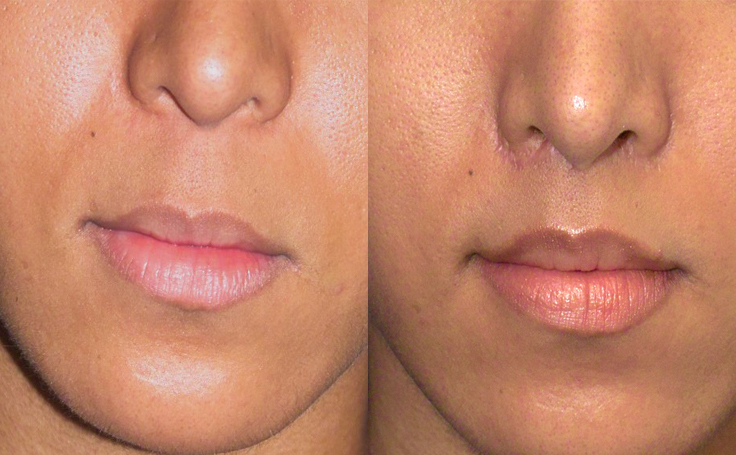 The goal of the Lip Lift procedure is to raise the upper lip so that her lips are fuller. 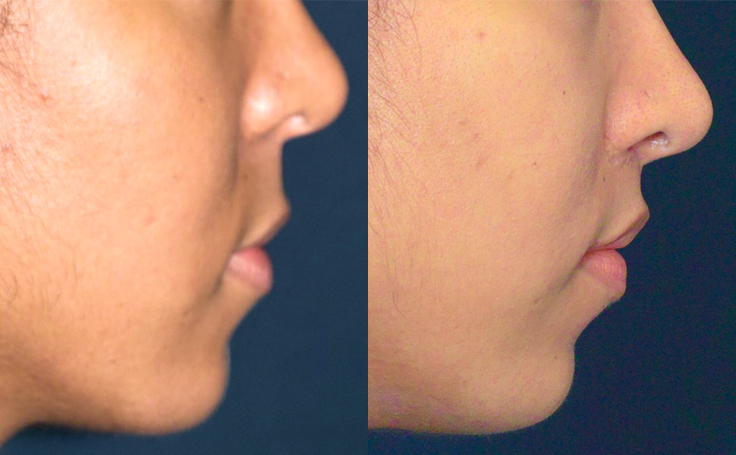 This patient wanted a very conservative change, so Dr. Rodriguez performed a minimum lift. What this means is that only a tiny amount of skin is removed from the base of the nose. The procedure is done under local anesthesia and takes only 1 1/2 to 2 hours. The result is very subtle, but it really enhances her overall facial appearance. Learn more about this procedure in our blog post, The Lip Lift : more youthful lips without the use of fillers.